DAMASCUS, March 29, 2011 (KATAKAMI.COM / Reuters) — Syrian President Bashar al-Assad accepted the resignation of the government on Tuesday, Syrian state television said. “President Assad accepts the government’s resignation,” an announcement on state television said. 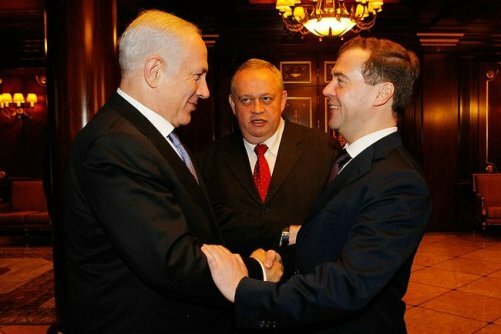 March 25, 2011 (KATAKAMI.COM / KREMLIN.RU) — Russian President Dmitry Medvedev and Israeli Prime Minister Benjamin Netanyahu on Thursday discussed bilateral relations between the two states and the situation in the Middle East and North Africa. At the start of the meeting, the Russian President expressed his condolences to the families of those killed in Jerusalem terrorist attack on March 23. PRESIDENT OF RUSSIA DMITRY MEDVEDEV: Mr Prime Minister, it is a great pleasure to see you again and welcome you here in Moscow. First of all I would like to express our condolences in connection with the terrorist attack which took place yesterday in Jerusalem. Unfortunately, innocent people have been affected in this case, as in other similar situations, and this should strengthen our resolve to combat terrorism through joint efforts. We have firsthand knowledge of the dangers posed by terrorism. Unfortunately, Russia, too, has been hit by terrorist attacks this year. That makes our meeting today especially valuable because the main thing is that we must not let the terrorists believe that they are close to achieving their atrocious goals. We have a great deal to discuss. It has been a long time since our last meeting and great many events have taken place since then, especially in the Middle East and North Africa. The changes taking place there are truly tectonic and cannot but affect the overall situation, which we should discuss as partners. 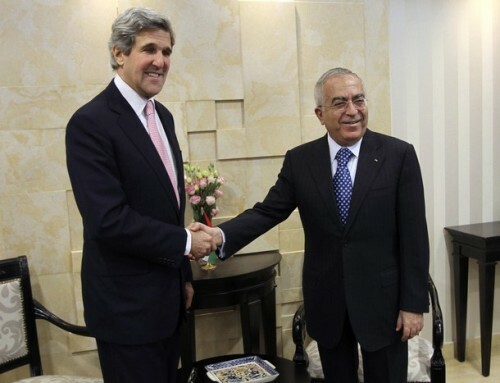 Naturally, we will also review the Middle East peace process, just as we always do. I have a few things to say on this topic. I am sure that you will share your thoughts as well, because we have not seen any positive developments recently. Let’s see how all these events affect the opportunities for compromise. We could also discuss issues pertaining to our bilateral relations, which have been developing well on the whole, but perhaps we could give an additional impetus to Russian-Israeli relations. PRIME MINISTER OF ISRAEL BENJAMIN NETANYAHU (re-translated): Thank you, Mr President. Indeed, we have not met for quite a long time but we have spoken on the telephone. I agree, it was not only New Zealand and Japan that were hit by earthquake, as well as a storm and a tsunami, but the Middle East and North Africa as well. After the fire which occurred in the north of our country, you sent brave and skilled pilots to assist us. We were all truly impressed by their work. I thanked you then, but I would like to use this opportunity to express my gratitude once again for your sympathy and help. Now we have to put out several other “fires”. No one knows how the events currently unfolding in the Middle East and the rest of the Muslim world will end. I am confident that our common aspiration is to have stable, progressive governments committed to promoting peace. But there is a danger – a danger for Israel, Russia and all of humankind – that radical Islamic regimes will spring up, posing a threat to our countries and the entire world. We can already see one such regime – in Iran, a regime that is a threat, that is seeking to develop nuclear weapons and is constantly trying to derail efforts to conclude peaceful agreements. Our goal is to stop evil and to promote good. 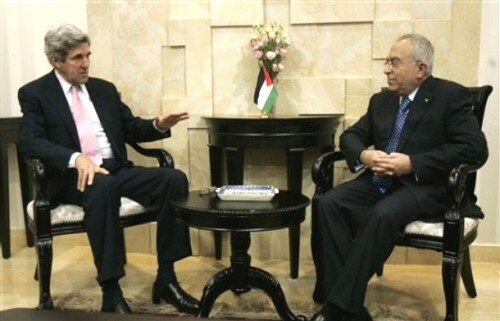 I would be glad to discuss with you ways to move towards peace and achieve security in our region. CARACAS, Venezuela, March 15, 2011 (KATAKAMI.COM / AP) – As Moammar Gadhafi finds himself increasingly isolated internationally, he still has at least a few friends far away. As reported by AP on Tuesday, Latin America’s most prominent leftists rallied early to his defense and have stayed there even as former friends, neighbors and countrymen have abandoned the embattled Libyan leader and urged his ouster. Venezuela’s Hugo Chavez, Cuba’s Fidel Castro and Nicaragua’s Daniel Ortega have been foremost in opposing U.S. and NATO military involvement, and in suggesting that reports of atrocities by Gadhafi’s troops are overblown or unproven. “The United States is proposing a war over Libya because they want Libyan oil,” Chavez said Sunday. He praised the African Union for appointing a commission of leaders to travel to Libya for talks — an effort in line with his own peace proposals. Chavez’s calls for mediation reflect both his affinity for Gadhafi and his ambition to be a global player, rallying nations against the United States. But his critics say Chavez has no credibility to promote mediation because he has ignored abuses by Gadhafi’s regime. And his stance is also uncomfortable for some of his allies and political supporters, who side with the uprising and say it’s time for Gadhafi to go. Latin America’s staunchest leftists long ago embraced Gadhafi as a fellow fighter against global U.S. influence, and they instinctively reject any U.S. intervention almost anywhere. Both Castro and Chavez have repeatedly suggested the U.S. is stirring up trouble in Libya to grab its oil and say Libyans should settle their own internal conflict. That stance has put them at odds with some of their friends. The left-leaning governments of Argentina and Brazil have condemned Gadhafi’s crackdown on opposition. And even some followers of Castro and Chavez have been recoiling from their positions. A group of Venezuelan Marxists led by writer Domingo Alberto Rangel and lawyer Jose Ramon Velasquez issued a statement last week condemning Gadhafi’s “brutal repression” of the civilian population. The government, meanwhile, released a statement backed by more than 260 artists and intellectuals in Venezuela and elsewhere opposing foreign military intervention and supporting Chavez’s mediation proposal. The Chavez-Castro stance also is at odds with that of many Arab states. The Arab League is promoting a no-fly zone to prevent more air strikes by Gadhafi’s forces. The African Union, however, said it had formed a committee of heads of state who will travel to Libya to try to resolve the crisis. Chavez also praised the position of German Chancellor Angela Merkel, who has been wary of a military intervention, and said he expects Russia and China to weigh in against foreign military involvement. While Chavez has reaffirmed his friendship with Gadhafi, he has not endorsed the Libyan crackdown on the opposition, merely suggesting it is being misreported and that he hopes the civil war ends soon. More enthusiastic was Nicaragua’s Ortega, who expressed solidarity with Gadhafi and called the fighting a battle to keep Libya intact. Ortega’s ties to the Libyan leader go back to the 1980s, when Gadhafi was a supporter of the leftist Sandinista government. 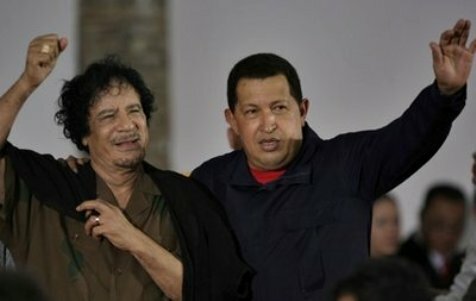 Before fighting erupted in Libya, Chavez and Gadhafi had been trying to boost integration between South America and Africa. When Gadhafi visited Latin America for the first time in 2009, he joined Chavez at a summit in Venezuela. The Libyan leader stood out with his dark sunglasses, African robes and entourage of women bodyguards, but he stressed the same themes as Chavez: socialist ideals and a need to stand up to world powers. 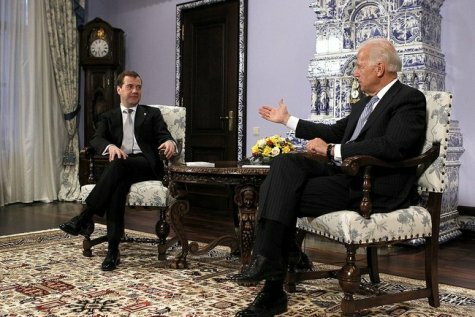 RUSSIA, March 10, 2011 (KATAKAMI.COM) — Russian President Dmitry Medvedev and Vice President of the United States Joseph Biden discussed prospects for the development of Russian-US relations, Russia’s accession to the World Trade Organisation, and issues pertaining to European anti-missile defence. 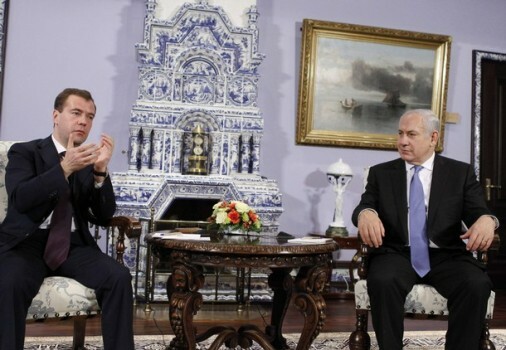 PRESIDENT OF RUSSIA DMITRY MEDVEDEV: Mr Vice President, I am happy to be meeting with you again. Last year, we were able to make a lot of progress in the relations between the United States of America and the Russian Federation. This past year was successful, including the ratification of the new START treaty, which was a significant event for all of us. I think that the President and I did some good work and I would like to say that your participation in this process was also quite successful. For that, I want to thank you. I am certain that this will benefit our nations, and therefore, the overall security on our planet. But at the same time, we have bilateral issues that are also very important for our states. And that is the context in which I view your visit to our nation. I think that our economic relations lag significantly behind our political relations. 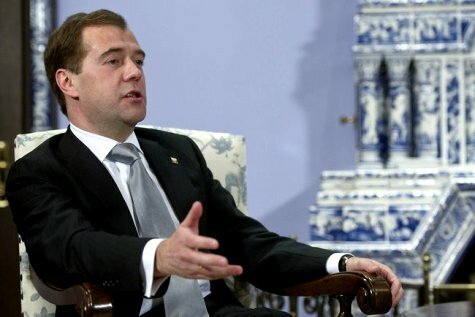 In this sense, of course, the issue is also hampered by Russia’s lack of membership in the World Trade Organisation. 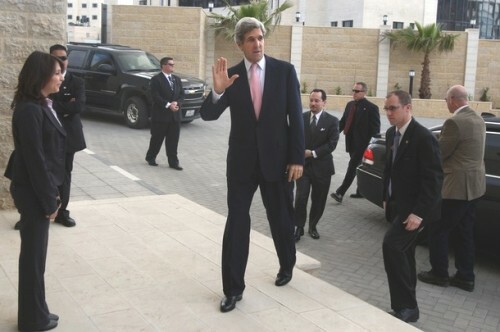 I hope that this year, the processes will be completed, particularly with the United States’ active support. We have major economic projects that we must develop jointly. I am very happy that you have just visited Skolkovo. It is an example of good cooperation in the high-tech sector and the creation of new types of businesses, which is particularly important for our nations, perhaps especially so during a time when the economies of both our nations are overcoming the financial crisis. I think you’ve had talks on economic issues today, and will continue to do so tomorrow. But naturally, there are issues that nevertheless remain exceedingly important for our nations: I am referring to ensuring security. Recently, we have had a whole series of important events in this area. Last year, during the Russia-NATO summit, I proposed a joint configuration for our work on anti-missile defence, as well as generally looking into this matter in the European security context. There are problems that have occurred this year; I feel that they must also have a place on our joint agenda – including the problems and challenges that are currently concentrated in the Middle East and North Africa. There is a whole set of other international problems on which we are cooperating well with the United States of America. I am certain that this kind of cooperation will continue. Thus, I hope that your visit will be successful and productive. We are ready to develop full-fledged, full-scale, strategic relations with the United States, and you know this. And especially as your last visit to our nation was a long time ago. I hope that your current visit will give you new impressions. In any event, we will create all the conditions for this. I would like you to pass my best wishes on to my colleague, President Obama. 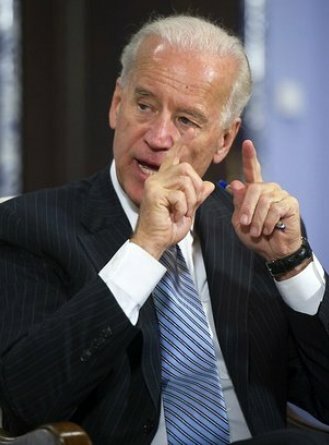 VICE PRESIDENT OF THE UNITED STATES JOSEPH BIDEN: Mr President, President Obama sends his regards as well. As you know, he has sought your counsel and advice and met with you more than any other head of state by probably a factor of three. It’s very good to be back in Russia. I am both a student of and a respecter of the great traditions of a great power. The first Russian leader I met with was Brezhnev. That’s how old I am. To further age myself, I knew both Jackson and Vanik. I think that’s why President Obama keeps me around. But Mr President, as you know, when President Obama and I were elected, the first matter of business internationally we thought we should attend to and change the direction of was US-Russian relations. For years before, as the chairman of our Senate Foreign Relations Committee, I, along with President Obama, thought that the relationship was drifting in the wrong direction prior to us coming to office. The first foreign policy pronouncement our administration made was the speech I made in Munich at the request of President Obama, where we used the phrase that it was time to push the reset button, reset our relationship with Russia. Because of your personal leadership and your colleagues, I think we’ve proved the sceptics wrong. We have made great progress in the last two years – not only on the new START treaty, but on matters relating to Korea, Iran, matters related to Afghanistan, a whole range of areas where there has been cooperation and Russian leadership. As you pointed out, I just came from meeting with Russian and American business leaders, on a beautiful new campus which, hopefully, will become the Silicon Valley of Russia. The reason I’m here is because the President wants me to make it clear we wish to continue the progress we’ve made, this time on the economic front – economic cooperation – your vision for Russia of innovation and change and modernisation, and we’d like very much to be a part of that. A fundamental change has taken place between my first visit in the seventies and today as we no longer and you no longer view our mutual success as a zero-sum game. We both benefit when the other succeeds. I consider it a success when I attend a meeting and I learn something that I hadn’t thought of or knew before the meeting. That happened in my meeting today with Russian business leaders. One of the Russian CEOs said, ‘You seem to demand more of us, and expect more of us, Russia, than you do of China or India.’ And he suggested that may be a legacy from the Cold War. And I thought about that. I don’t think it’s because of the Cold War. I think it’s because we have such high expectations – and I mean this seriously – we have such high expectations and such respect for Russia. 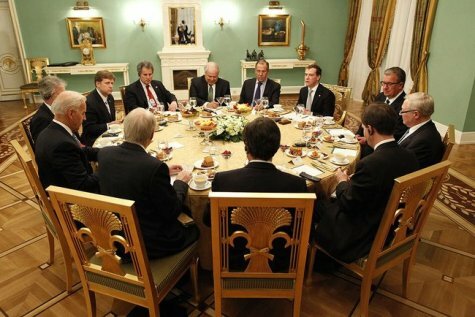 For my entire career, when I sat with a Russian leader, I was sitting with one of the most powerful men in the world, and that’s how we still think of you. I mean that sincerely. So it may be, sometimes, we do expect too much progress too quickly. But the expectation is born out of admiration and respect, not out of disrespect. 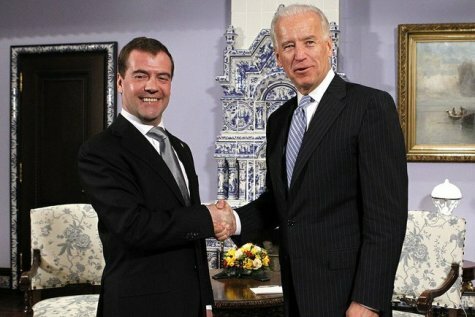 DMITRY MEDVEDEV: Mr Vice President, thank you for your words. I would just like to express hope that the next time you come to our nation – which I hope will happen soon – at least one of the topics you’ve mentioned will be left in the past. I am referring to the Jackson-Vanik amendment, because this is an issue that always comes up during your visits. I hope that this will be the last time. After all, you cannot keep dealing with it throughout your entire career. Jan 18 (KATAKAMI.COM / VOA) — The husband of the Arizona congresswoman shot in the head during a shooting rampage this month says her condition has improved to the point where she gave him a 10-minute neck massage from her hospital room. 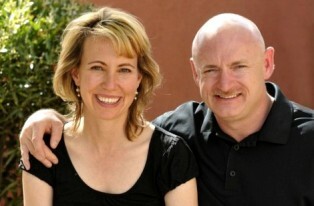 U.S. astronaut Mark Kelly said in an interview with ABC News that the action is typical of Giffords, who he said is always looking out for others. Giffords is in the intensive care unit at a Tucson hospital. Kelly also said he would be willing to meet with the parents of 22-year-old Jared Loughner, the man charged in the shooting spree that killed six people and wounded more than a dozen others in Tucson. Kelly told the network that Loughner’s parents must be in a tremendous amount of pain because of the situation. Giffords’ condition has been upgraded from critical to serious. Doctors treating Giffords say Kelly reported that he saw her smile. They say such encounters imply that Giffords is recognizing him and interacting perhaps in a more familiar way with him. Separately, the doctors say Giffords had minor surgery to repair a fracture in the roof of her eye socket. They also say she is at the same baseline as before the procedure. Giffords was shot as she met with constituents outside a grocery store January 8. The dead included a federal judge and a 9-year-old girl. The U.S. House of Representatives resumes work this week, after a one-week suspension following the attack on Giffords. The top item on the agenda for the new House Republican majority is to try to repeal President Barack Obama’s signature health care reform initiative. Doctors have voiced optimism regarding Giffords’s chances of recovery, saying she could be released from the hospital and moved into a rehabilitation facility within “days to weeks.” Recently, she has opened her eyes and is responding to simple commands. Doctors say she is breathing on her own. Loughner, the suspect, has been charged with five federal felony counts, including the attempted assassination of a member of the U.S. Congress. 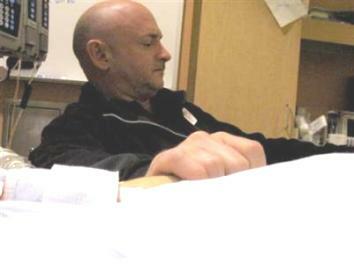 Mark Kelly, the husband of Representative Gabrielle Giffords, holds his wife's hand in the congresswoman's hospital room at University Medical Center, January 9, 2011. Jan 17, 2011 (KATAKAMI.COM / Reuters) – U.S. congresswoman Gabrielle Giffords’ medical condition was upgraded from critical to serious on Sunday, eight days after she was shot through the head by a gunman at close range. Doctors said they upgraded Giffords’ condition because she was no longer attached to a ventilator, having replaced a breathing tube in her throat with a tracheotomy tube inserted into her windpipe on Saturday. Doctors also have fitted Giffords with a feeding tube, a practice not uncommon for patients in intensive care with brain injuries. Giffords, 40, had been the only patient in critical condition from a shooting last Saturday that left 12 other people wounded. Six more gunshot victims died in the rampage. One patient was discharged on Saturday, leaving two others hospitalized in good condition. Federal authorities are planning to move Loughner’s trial to San Diego because of extensive pretrial publicity in Arizona, The Washington Post reported on Sunday, citing federal law enforcement sources. They cited publicity and the sensitivity of the case in Arizona, where one of those fatally shot was John Roll, the state’s chief federal judge, the Post said.